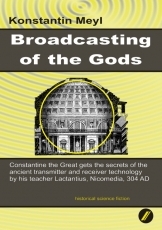 * Did God Apollo from Delphi broadcast with 5,4 MHz ? * Have the Greek temple been transmitters for telegraphy ? * Has a temple priest been amateur radio operator ? * Has Homer been radio reporter on behalf of the Gods ? * Have the oracle been receiver stations ? * Did oracle interpreters translate the transmission code ? * Which bridges the Pontifex Maximus has built ? 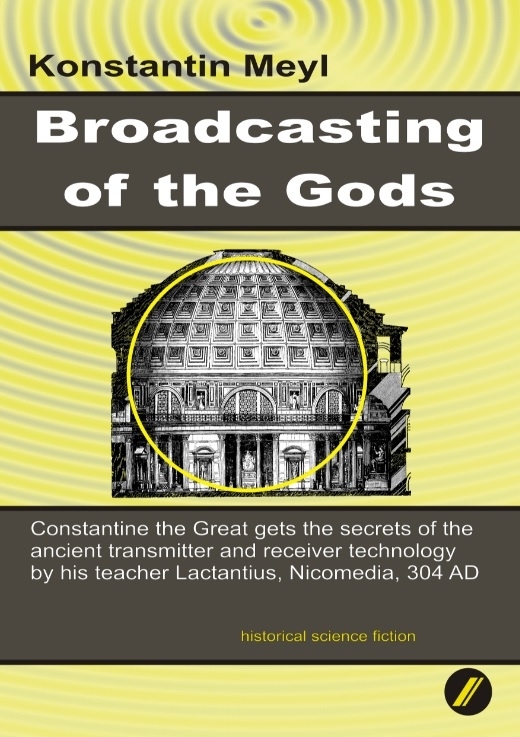 We are witness in 304 AD how the later Roman Emperor Constantine the Great is introduced by his teacher in the secret transmission technology of the gods. It is an exciting time of change, because the old telegraphy is obsolete. Instead voice radio should be introduced, which has been tested successfully by Emperor Hadrian in Rome. But a new dispute in the offing: Is a wireless or a cellular telephone to be introduced? But those who transmit without license, are hunted like at all times and are fought.